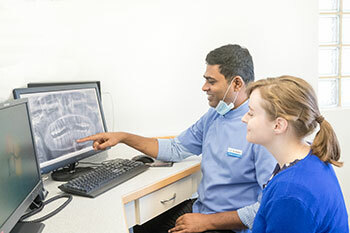 The team at Comfort Care Dental are proud of our wide range of dental techniques and services which, when combined with our leading technology, provide you and your family with the best in general dentistry, cosmetic, implant, snoring or sleep apnoea treatments. We will be happy to discuss your individual needs with you and work out a plan that suits you best. Cleaning and Prevention: Cleaning and prevention is all about a preventative, proactive effort between you and us, to avoid dental diseases and conditions. Through good oral hygiene at home to regular dental visits with us, we can help you maintain your oral health and avoid serious and sometimes costly dental problems. Keeping your smile healthy, beautiful and confident is our ultimate goal. Dentures and Partial Dentures: Dentures are devices designed to replace missing teeth. They can be removable, bond or clasp to existing teeth, or be fixed prosthodontics (see Dental Implants). Dentures can help patients resolve chewing difficulties, collapsed facial appearance from tooth loss, problems with pronunciation and low self-esteem. Getting dentures with us involves just a few appointments, where highly accurate impressions and measurements are taken to create your custom denture. Root Canal Therapy: Root canals are a good treatment option when decay has reached the tooth pulp (the living tissue inside the tooth), or there has been injury or trauma to the tooth. Root canals can save teeth that might otherwise need extraction, which can cause problems for adjacent teeth and end up costing more than a root canal treatment. Root canal treatment is highly successful and usually lasts a lifetime. Sedation Dentistry: Unfortunately, some people don’t visit the dentist because they are too fearful or anxious, but the good news is there’s no need to worry anymore. With sedation dentistry anxiety is alleviated, there’s no pain and it is perfectly safe with few side effects. The most popular dental sedatives are nitrous oxide, oral conscious sedation and intravenous sedation. Different levels can be utilised depending on your individual needs. Regardless of the type chosen, it’s essential you bring someone with you to accompany you to and from your appointment. If you or someone in your family suffers from anxiety about dental checkups, you can rest assured we at Comfort Care Dental will do everything to make you feel comfortable and at ease. Wisdom Teeth: Wisdom teeth are your last teeth to develop, usually between 17 and 25 years of age. Often they become impacted or grow at odd angles, causing complications such as pain, infection and damage to neighbouring teeth. It is strongly recommended by leading dental associations that patients’ wisdom teeth be evaluated by their dentist for assessment and proper management plans to ensure a good outcome. Dental Implants: If you’re self-conscious about missing teeth or wearing dentures, our dental implants (artificial roots and teeth) could be the perfect solution to give you back your smile. Dental implants are the most natural-looking restorative option, providing a solid foundation for single or several teeth or to support partial or full dentures. They involve a screw-like anchor that is used as an artificial replacement for natural tooth roots. When cared for properly, dental implants should last a lifetime, although the artificial crown, bridge or denture attached to the implant does have a lifespan of 5-15 years. Ask us about our dental implant procedures, and we will explain everything you want to know. Inman Aligners: The Inman Aligner is the perfect solution for crowding or protrusion of the front teeth. It is really efficient, very safe and great value. With the patented Inman Aligner, your front teeth can be gently guided to an ideal position in a matter of weeks. Most cases complete in 6-18 weeks and because it’s removable you can take it out to fit with your lifestyle. The last few decades have seen a dramatic increase in popularity and range of cosmetic and dental restoration treatment. Put your smile in the knowledgeable hands of a dental practice you trust, to ensure you light up the room with the best smile possible. Bridges: Dental bridges are fixed appliances that replace missing teeth. There are several types, and if a bridge is right for you, the team at Comfort Care Dental will discuss the best options for your needs. The traditional bridge is the most popular and is most often made of porcelain fused to metal. They are highly durable and will last many years. Crowns (Caps): A crown, or cap, covers the entire tooth surface, restoring it to its original shape and size. Crowns are a good solution for teeth that cannot be restored with fillings or other types of restorations. Porcelain crowns are most popular and last many years, giving a natural, beautiful smile. Procedures usually require two appointments. Ask us today if crowns are right for you. Teeth Whitening: Teeth whitening, when done by professionals, is a safe procedure that can brighten your smile, removing stubborn stains that won’t respond to professional cleaning. At Comfort Care Dental we offer two forms of whitening: an in-office session for quick results or a take-home kit for a more relaxed procedure in the comfort of home. Veneers: Veneers are thin sheaths of porcelain that are custom cut and coloured and then bonded to the front of the teeth to create a beautiful, attractive smile. Often an alternative to crowns, veneers are highly durable and will last many years. Porcelain veneers can completely transform your teeth and smile. Do you or someone you know suffer from snoring or snoring-related sleep apnoea? Up to 70% of adults who regularly snore have sleep apnoea, which is caused by the soft tissues of the throat and tongue collapsing against the back of the throat. This action obstructs the upper airway and airflow is reduced, resulting in a cycle of obstruction and breathing. Snoring and sleep apnoea are not only difficult for partners but also a concern in the bigger picture for the individual suffering, with severe impacts on health and the quality of life. People who suffer from sleep apnoea often wake unrefreshed, are sleepy during the day, can develop high blood pressure, heart and health problems. The good news is dental appliances are a proven solution. They’re thin, portable and comfortable to wear, with studies demonstrating 95% effectiveness in overcoming snoring and excellent results for sleep apnoea. 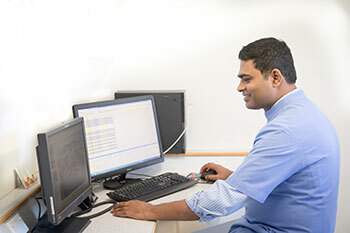 Our office can assess your sleep with a diagnostic study and help you get the rest and quality of life you deserve.